Anyone like steak? Good. How about a steak recipe that is fast, easy, and tasty? Also good. This recipe combines flank steak with green beans, garlic, chilies, and of course, a great Vietnamese sauce. 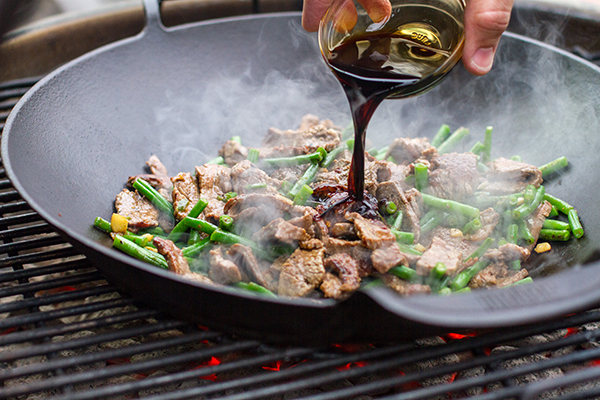 The dish is great when prepared and cooked using the Wok from the Gourmet BBQ System on the Summit Charcoal. Not only will this grill cook your food to perfection, but the size of grilling space will allow you to feed a number of people or have leftovers for yourself! 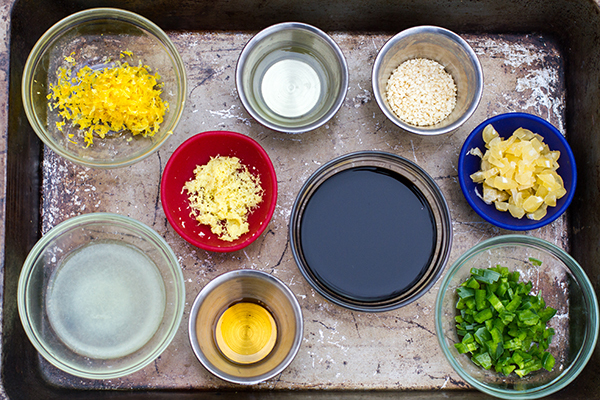 Check out the recipe below for all of the ingredients and directions to making the best stir-fry you have ever had! 1. Bring a saucepan of lightly salted water to a boil. Add the beans and cook for 4 to 5 minutes, until barely tender. Drain, immediately rinse well under cold running water, and shake dry. Set aside. 2. Season the flank steak with 1 teaspoon of salt and ½ teaspoon pepper. 3. Remove the circular Gourmet BBQ System™ grate insert, and prepare the grill for direct grilling over high heat (450° to 550°). Place the wok in the grate and preheat for 10 to 15 minutes, until it’s very hot. 4. Add 1 tablespoon of oil to the wok and when it is hot, add half the beef, distributing it evenly. Close the grill and let the beef sizzle over direct high heat without disturbing for about 20 seconds. With a spatula, stir to redistribute. Toss again every 20 seconds for about 1 minute more, keeping the lid closed as much as possible, until browned but still slightly pink in the center. With a slotted spoon, transfer to a bowl and repeat with the remaining tablespoon of oil and remaining beef; transfer the second batch to the bowl. Add the beans, ginger, garlic, and chiles to the wok; stir occasionally for 1½ minutes to warm through and release the flavor of the aromatics, then return the reserved beef with any juices, the lime juice, soy sauce, and fish sauce if desired. Stir for 1 to 2 minutes more until warmed through. Sprinkle with sesame seeds and lemon zest and, if desired, serve over rice.